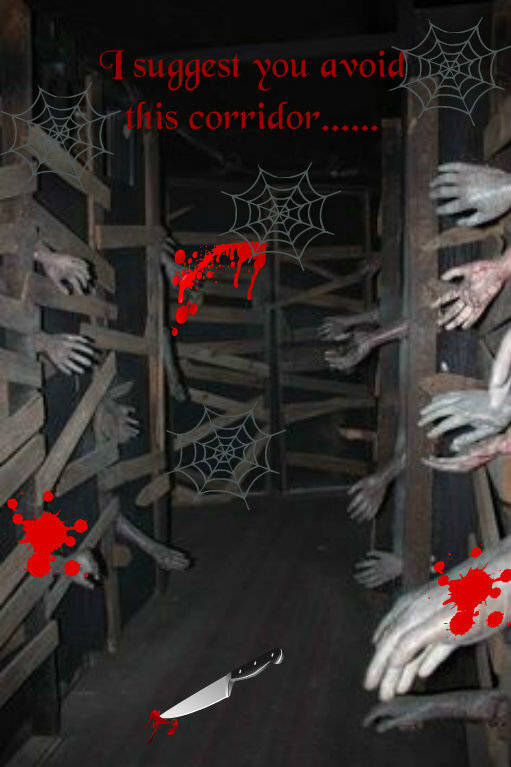 Tomorrow I’ll be waiting for you in the Haunted House! Hello Friends!!! 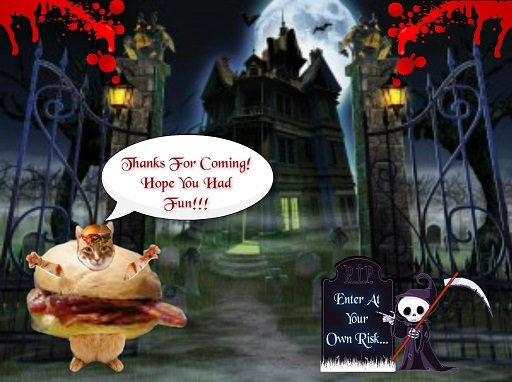 I hope you had fun seeing all the amazing costumes everyone did for the Funniest Costume Contest – I know I sure did……….I also had fun watching the poll……….there were almost 500 votes cast – isn’t that AMAZING? It was also a VERY close race and that’s all I’m saying……………….tomorrow you’ll find out who the THREE winners are and see their trophies. 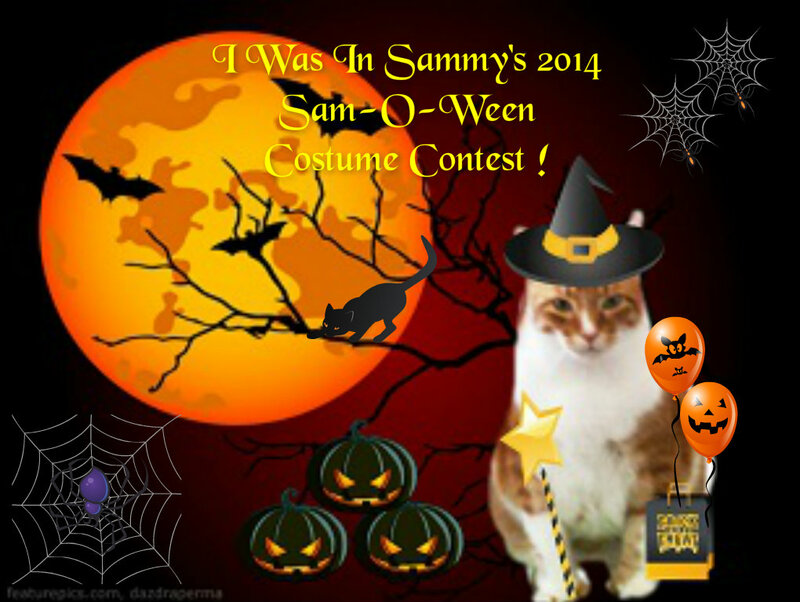 Everyone who entered my costume contest will have a little “souvenir” in fact – a blog badge declaring to the world that you entered my 2014 Sam-o-Ween Costume Contest so don’t forget, if you were in the contest, please copy the badge for yourself tomorrow. 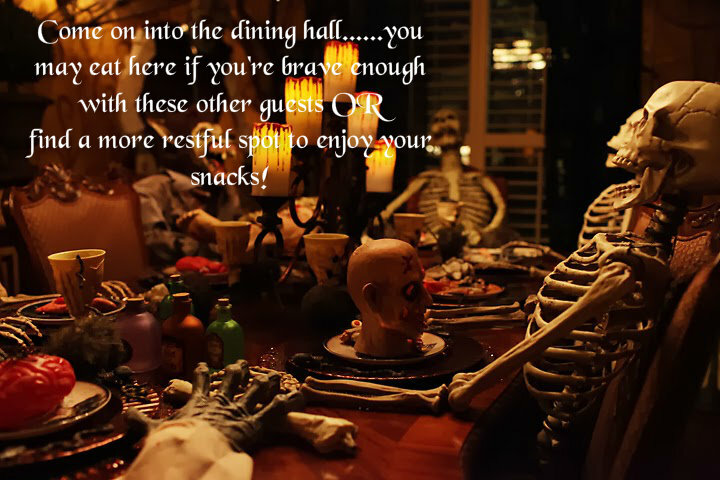 The party will last ALL DAY LONG too so no worries about when you arrive – everything will be waiting for you – including all the spooks and goblins and even the SNACKS! 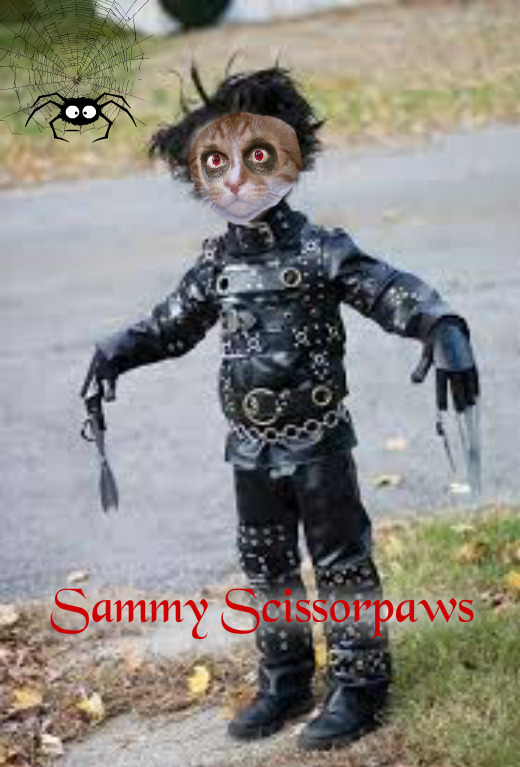 ARE YOU READY FOR SOME SAM-O-WEEN FUN??? I hope so!!! 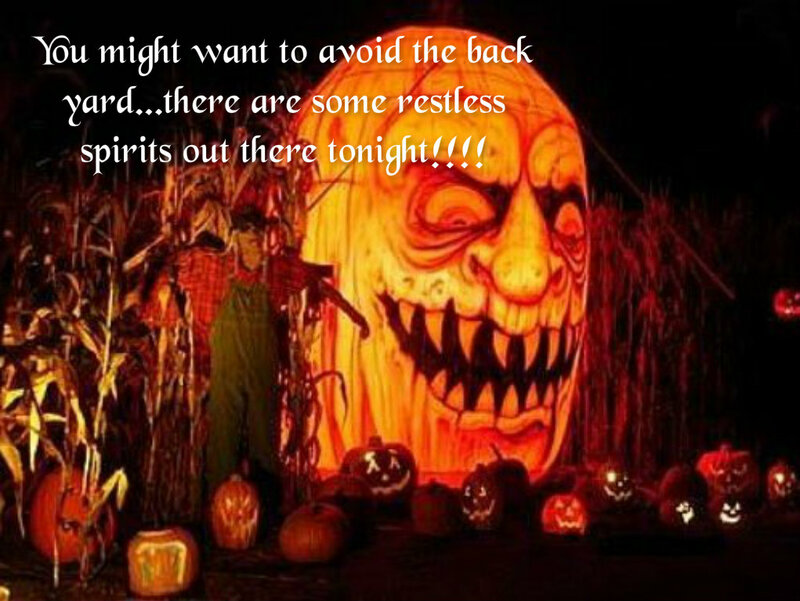 I’ll See You When You Get Here….. 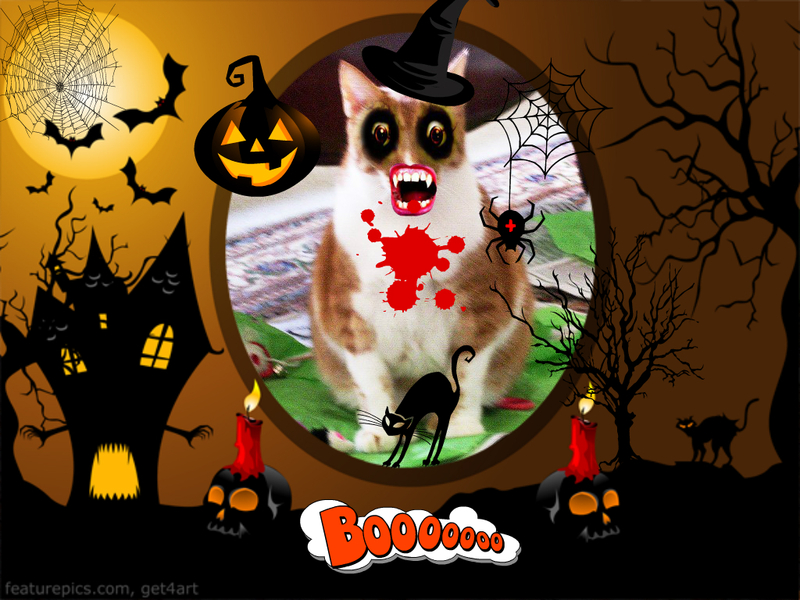 Thank you darling Nellie for my special ‘punkin! 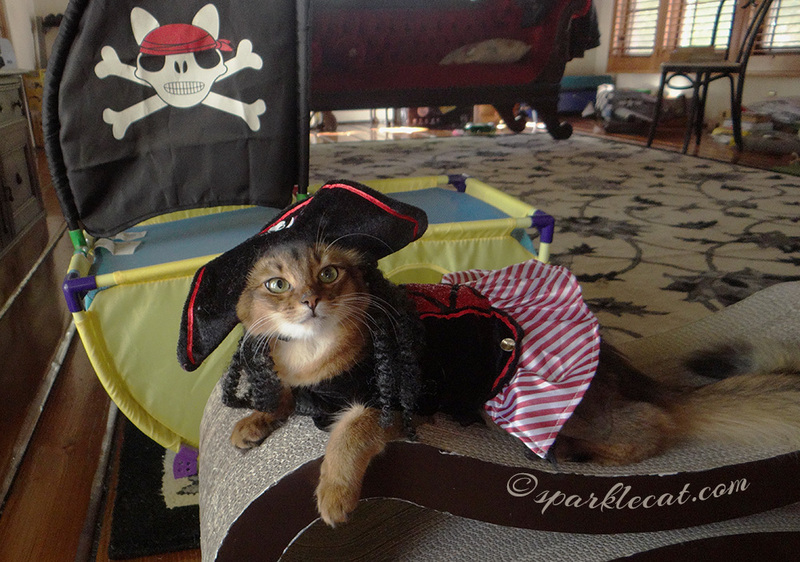 Welcome to the final day of voting in my costume contest! UPDATE: Poll has closed! 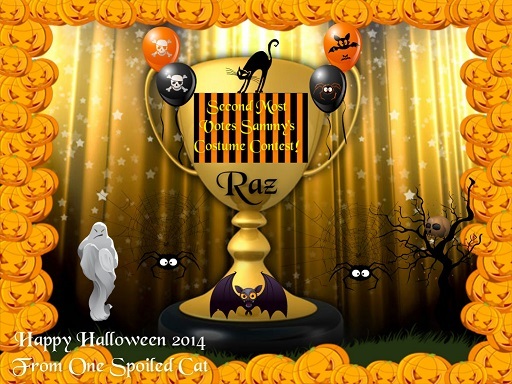 Visit tomorrow to see winners!…..
That’s right – this is it gang. 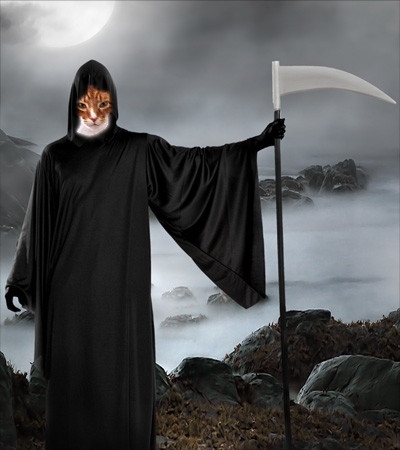 After today, the top two winners with the most votes will be announced at my Sam-O-Ween Haunted House pawty tomorrow – a lovely way to kick off a night of celebrating as the Grim Reaper and all manner of spooks and goblins and scary people are out and about Trick or Treating……!!!! I can tell you are all enjoying yourselves looking at all the entries but as I thought, it’s a VERY tough competition with voting fast and furious. I made it so you SHOULD be able to vote again today if you wish but I have to say Polldaddy is occasionally not very cooperative so if you can’t – SORRY ABOUT THAT – hopefully you voted yesterday and your vote counted!!! 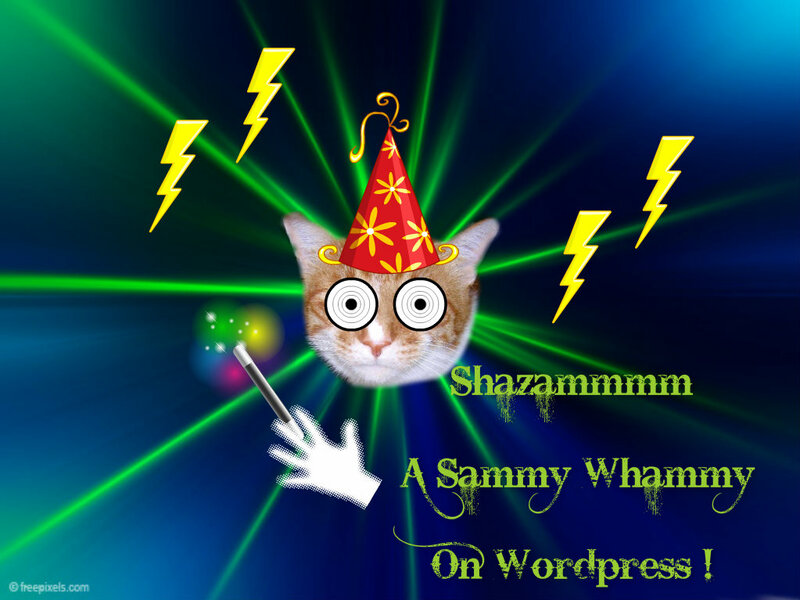 I put the Whammy on WordPress so MAYBE that will help if you have problems voting again today????!!! WHO THE WINNERS ARE !! 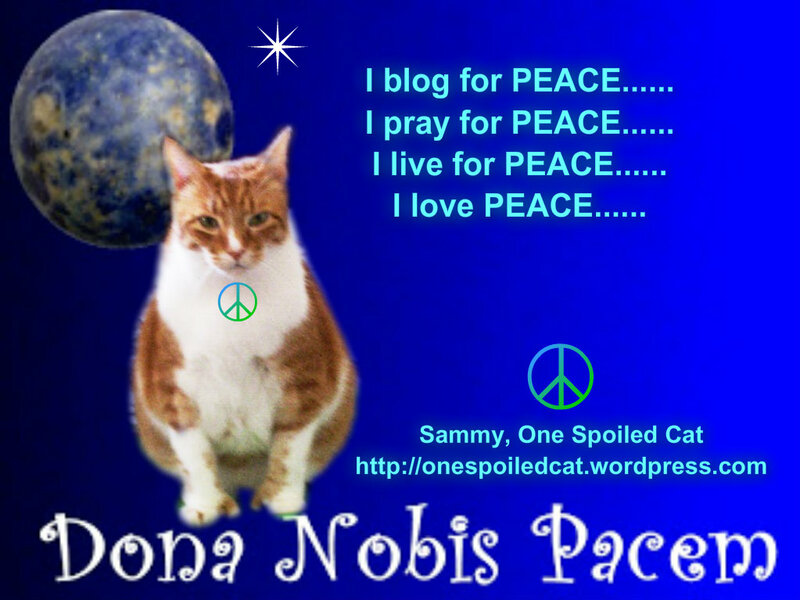 Reminder: Remember please that November 4th is “I Blog For Peace” and it’s not too late to go to http://peaceglobegallery.blogspot.com and choose a logo/badge to put on your blog in support of PEACE in our world. 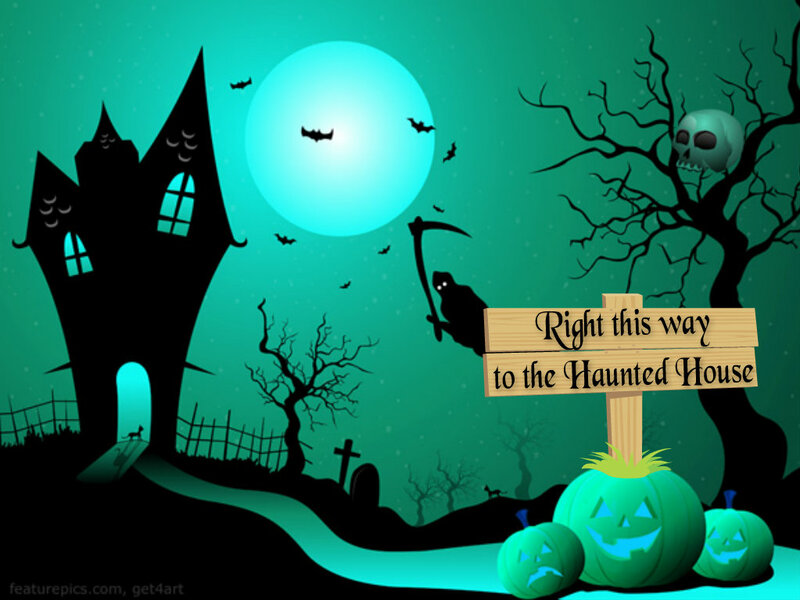 Well we’re sneaking up on Halloween aren’t we…..! 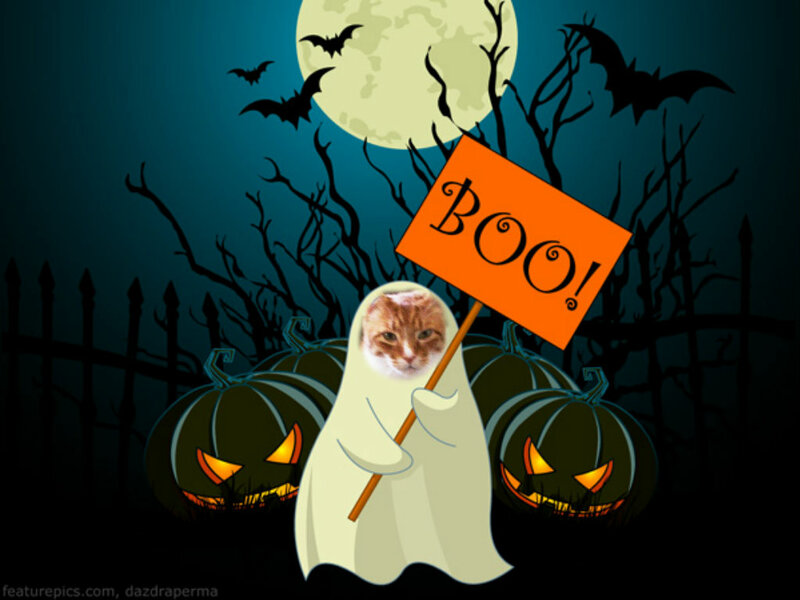 My blogging buddies are gearing up with costume contests, fun posters with “monster shots” of all of us, writing contests for spooky stories – all kinds of fun. 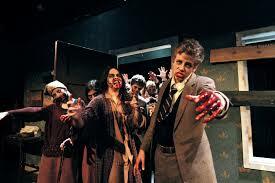 I’m still trying to figure out what to be for Halloween. 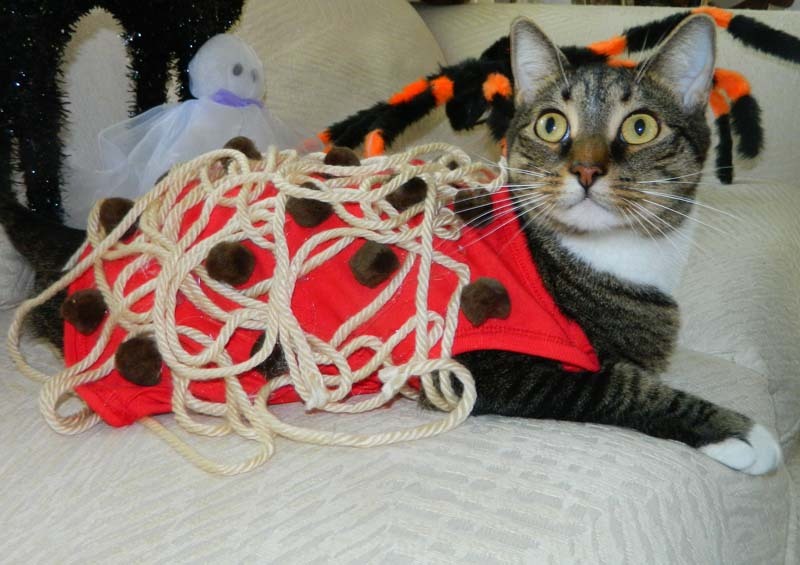 The best suggestion I’ve had yet was “just be a cat” which seems to be the least difficult costume to put together if you think about it……I’m giving it some consideration believe me. 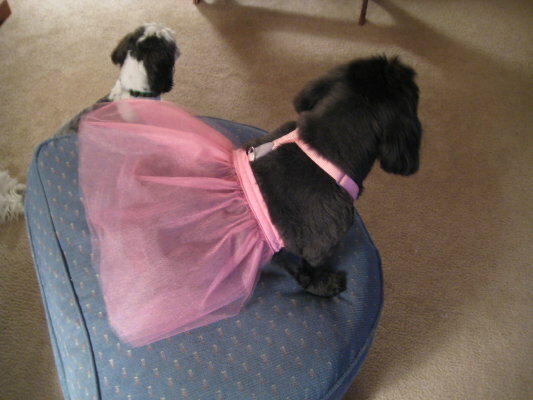 In the meantime, I thought I’d share a couple of pix from the past……the first ones are my Cousins Mollye and Toby the shih tzus who live with my Auntie Carol. 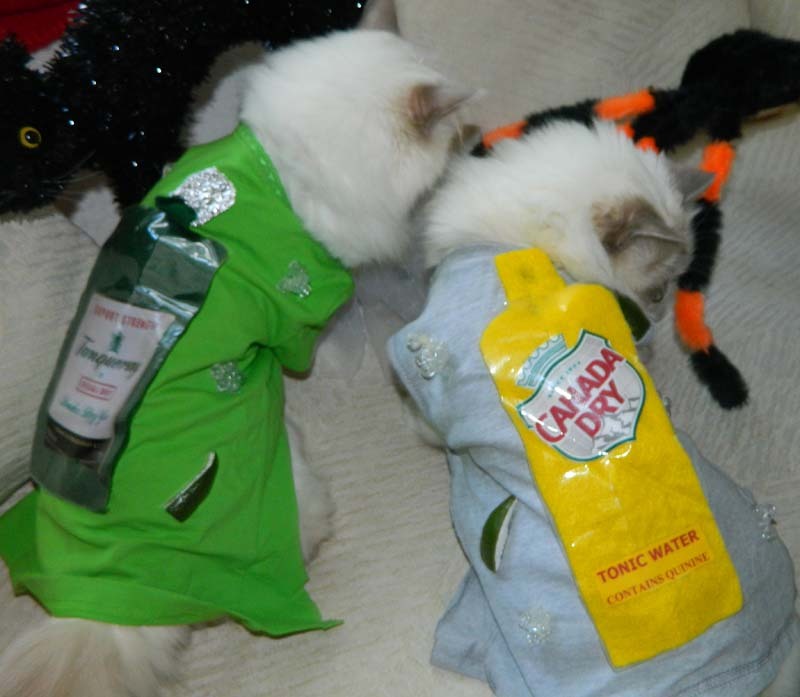 She made costumes for them for a Halloween parade they had in her community in The Woods Resort in West Virginia. What do you think? Pretty darn good huh? 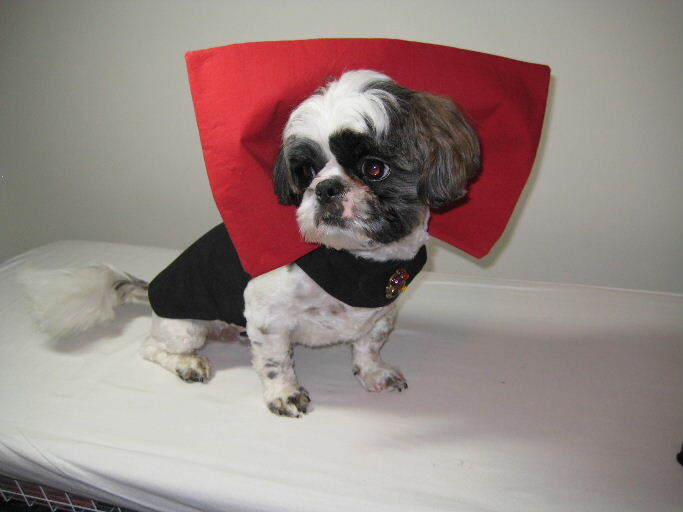 Cousin Toby in his Dracula costume! What? No fangs? 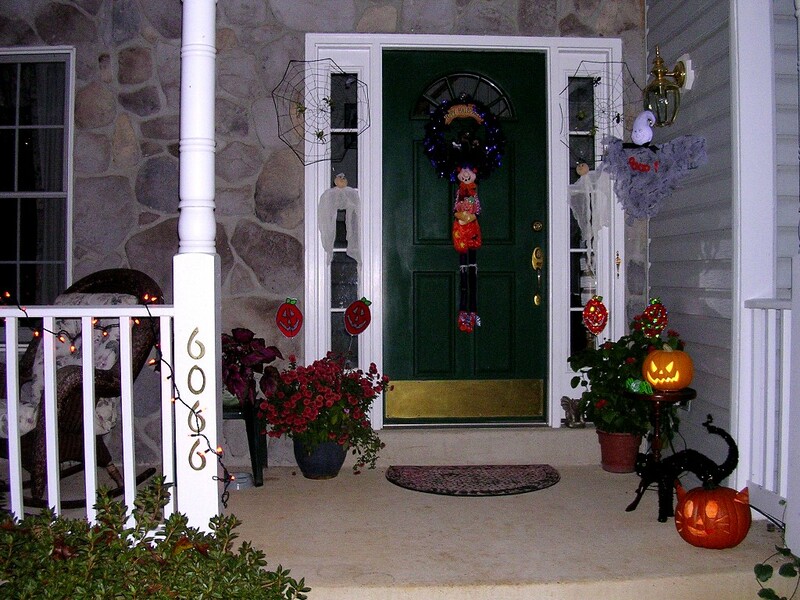 There’s my pumpkin right in front….! 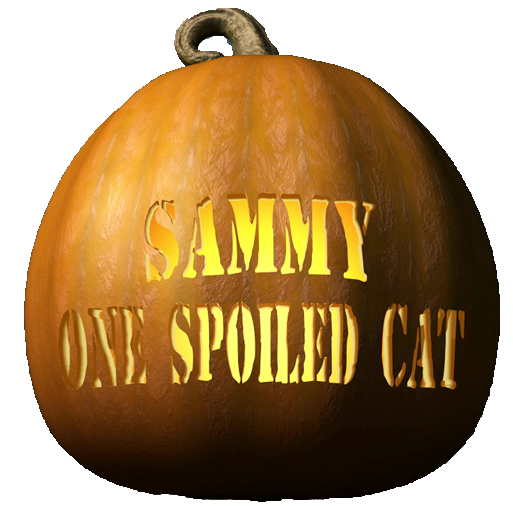 Then this is a close-up of my Sammy-Pumpkin!! 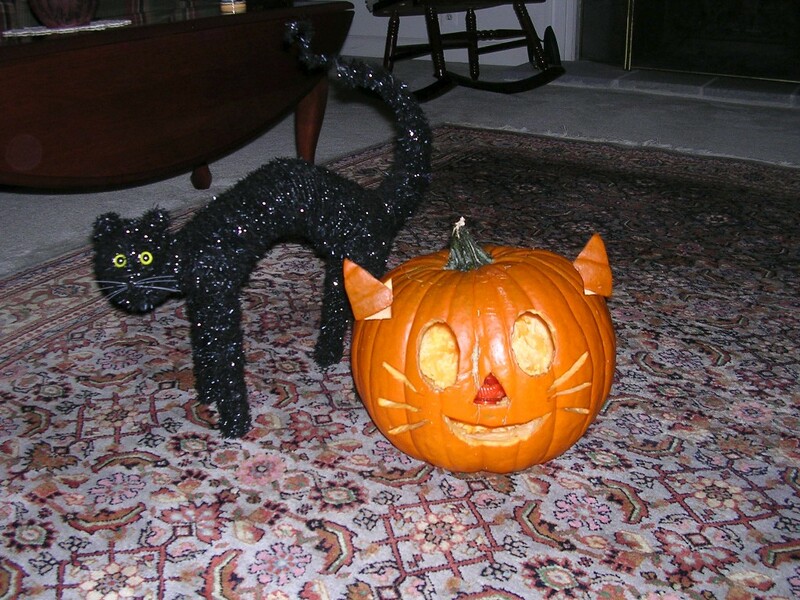 My cat pumpkin had a “friend” with him last year….a funny black cat decoration! 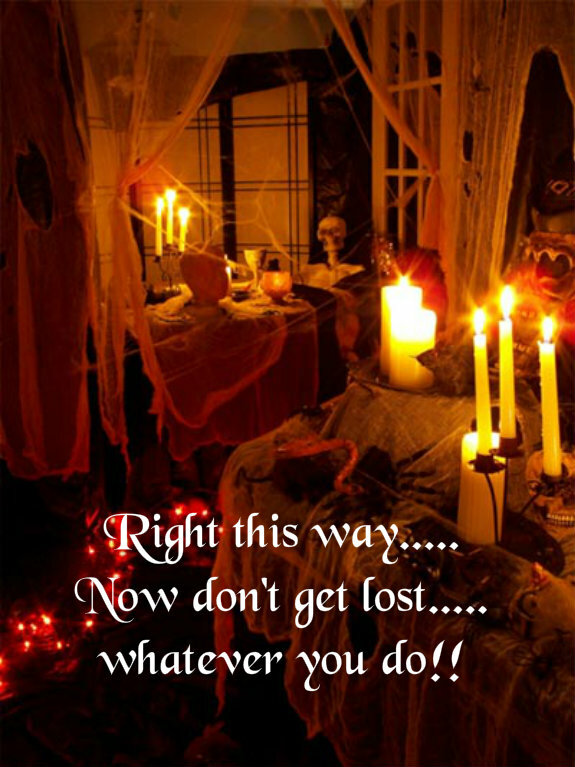 Now before I go, I’d like to remind you what tomorrow is – NO IT’S NOT JUST COLUMBUS DAY HERE IN THE USA, IT’S ALSO TUESDAY TEASER DAY! 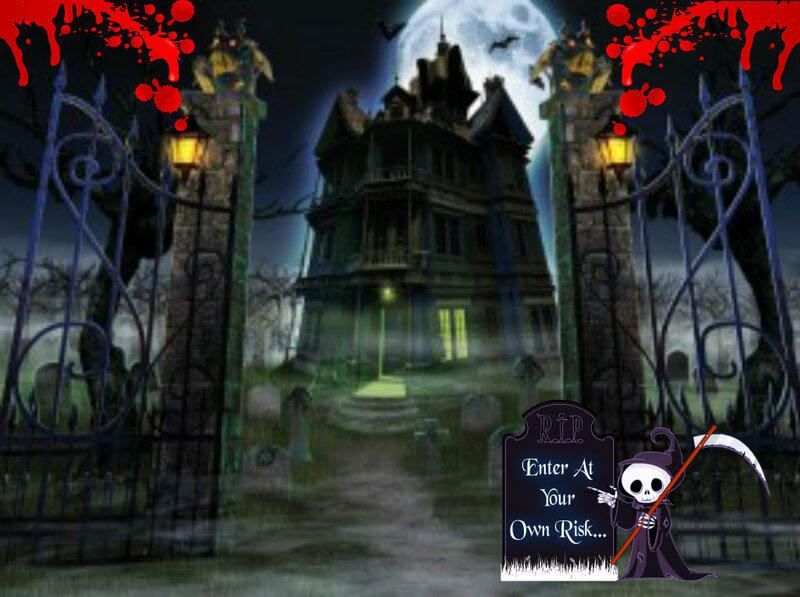 So – see you here tomorrow for that little challenge…..and you thought the only big problem you had to solve was what to wear for Halloween – HA! You forgot the TEASER!